I was recently hired to do production rewrites on Conan (the barbarian, not the erstwhile Tonight Show host) which is being released in 3-D using the same digital process used in Alice In Wonderland. This is part of an industry-wide rush to embrace 3-D technology and thereby boost box office returns, as chronicled in several L.A. times articles. A bunch of bloggers asked me how screenwriting for 3-D differs from traditional screenwriting, and I didn't have a good answer. So over lunch, I asked several other scribes how their approach differs now that studios have hired them to work on 3-D films. Each one said that it basically changes nothing - that they just focus on the story. 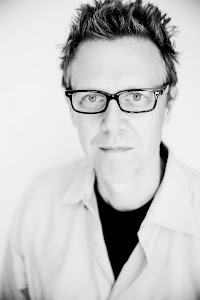 In his own short blog entry on Writing for 3-D, Jon August sums up the sentiment by quipping, "For screenwriters, 3-D is something that may come up in a pitch, but will have very little impact on the written word." But others see it differently. They warn that 3-D is going to "change the very nature of cinematic storytelling," apparently for the worse. In another recent L.A. times article, one screenwriter claims that "Just like a sitcom writer tries to have three laughs per page, I [try] to have a 3-D moment every 8-10 pages," an attitude that evokes the old Roger Coreman dictum to include bare breasts every 8-10 minutes. The article goes on to suggest that serious films are shot in 2-D, that only certain "genre films" are suitable for 3-D, and that Hollywood's recent turn towards the technology can only mean than it will be harder to get quality films made. So does 3-D change nothing? Or does it change (and ultimately ruin) everything? To say that 3-D has "no effect on the written word" seems false to me. Screenwriters are not novelists or poets. We use the "written word" the way architects draw blueprints, and ultimately we are judged not by the words we use but by the movies those words are meant to represent. Our job is not just to write story and character, but to pre-imagine a movie, so the way we imagine these movies really does matter. When movies were primarily shot without sound, writers imagined the action without sound, and told their stories primarily with visual imagery. When movies were made in black and white, writers imagined the stories in black and white (in fact, people used to dream in black and white.) As more and more movies are made in 3-D, filmmakers ( and yes I consider screenwriters to be "filmmakers") will imagine stories in 3-D.
To me this is neither good news nor bad news for the quality of the movies themselves, although it's easy see it as a turn for the worse. The first sound films were far less creatively ambitious than the visually dynamic silent films of Buster Keaton and Fritz Lang. The first color films were often musicals that packed the entire spectrum in every gaudy frame; as late as the 1960's "serious films" (Think Godard, Bergman, and Fellini) were made in black and white. These days filmmakers use sound and color in ways that serve the narrative. Unlike the early musicals, the cinematic palette is often extremely desaturated, so that a particular color makes a story point. Unlike early talkies, contemporary films avoid dialogue for long sequences in order to focus on the visuals. I'm not talking about esoteric and pretentious art films here (though I love them so). Think of M. Night Shyamalan's desaturated imagery and use of the color red in The Sixth Sense, or the long opening sequence with virtually no dialogue in WALL-E.
And these are choices the filmmakers made while first imagining the film, choices made while writing the screenplay. To me the most striking thing about Avatar, as it concerns this issue, is not its awesome technical achievement, but that 3-D functions as a tool for storytelling, not as a gimmick. No one can tell me that James Cameron did not imagine his film in 3-D, and that this imagining had no effect on the words he chose to put on paper. Conversely, the most interesting visual aspect of films like 300 or Sin City, is that the filmmakers have chosen to eliminate depth entirely and focus on the dynamic graphic tension of radically flat, 2-dimensional imagery. Both those films were imagined and "written" in 2-D as graphic novels. 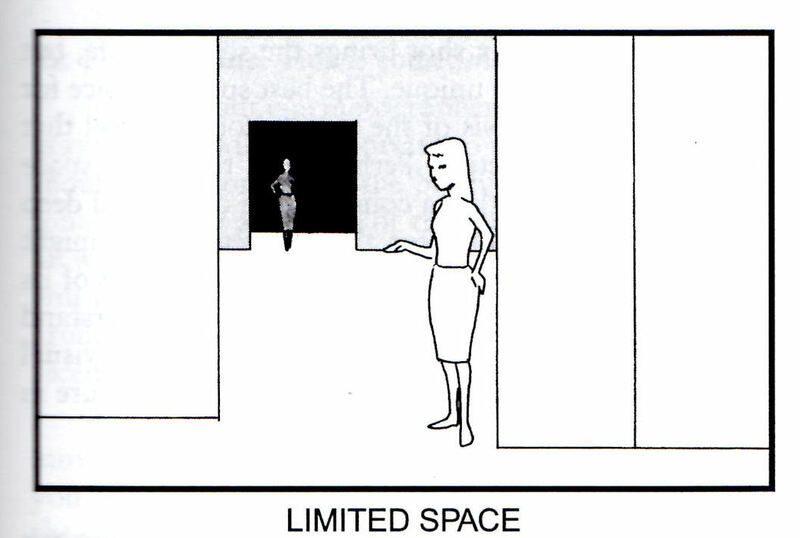 Flat Space containing very little depth. Examples of movies that use flat space are 300 and The Parallax View. 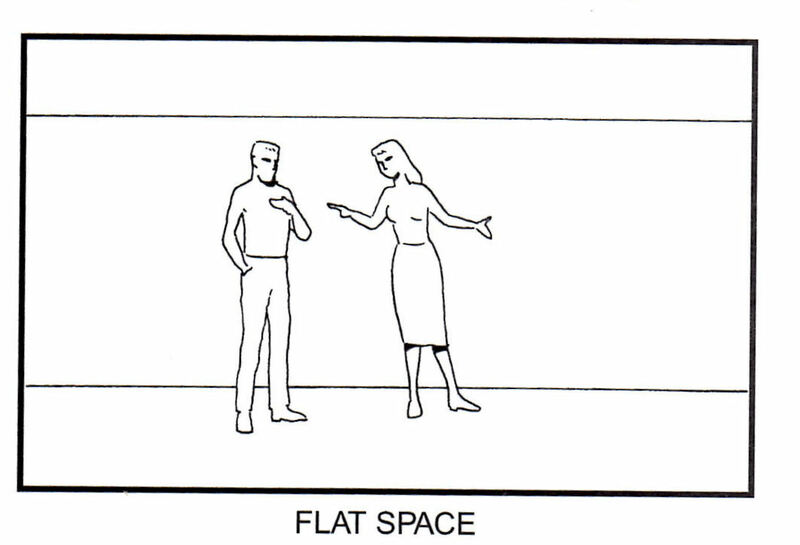 Limited Space, which separates actors and objects in well defined flat planes. You've seen limited space in films by Ingmar Bergman, and more recently, Wes Anderson. 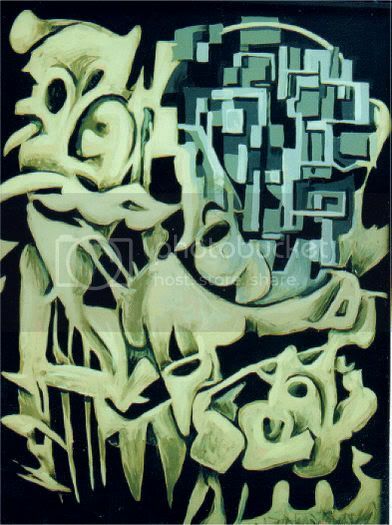 And Deep Space, which emphasizes depth. My favorite examples of movies that use deep space are Kubric films, like The Shining. Block taught that filmmakers use different kinds of space in adjacent shots to create contrast and excitement, or they use the same kind of space, shot by shot, to create affinity and unity. 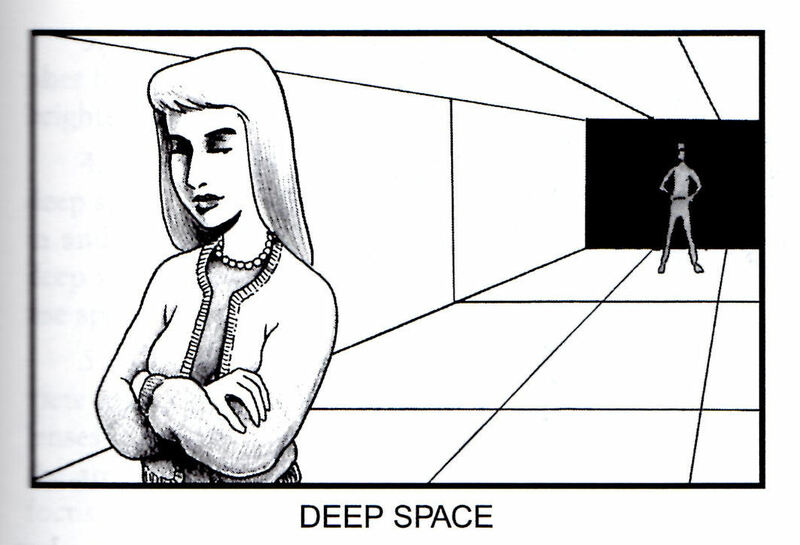 3-D technology is just another way to emphasize deep space. Sometimes filmmakers (did I mention that screenwriters are filmmakers?) may chose to flatten the cinematic image in a scene just before a big "3-D moment" to emphasize the sense of vertigo. Other times filmmakers may deliberately avoid 3-D - or any sort of depth - to create an image like a graphic novel. But 3-D isn't something that is best slapped-on the narrative as an afterthought. In short, 3-D is just another creative choice, one that the screenwriter should neither over-emphasize nor ignore. So far, this best describes my experience on Conan. 3-D has indeed subtly effected the way we (writer, director and producers) are imagining the story. The Ruins in the climax, are looking more and more like a drawing by M.C. Escher - characters jump, fall, and swing their swords, in our imagination, in jaw-dropping 3-D. Conversely, I imagine the quieter scenes preceding the climax, scenes that emphasize dialogue and character intimacy, as completely flat. I don't imagine "3-D moments" but I do imagine the space - flat, deep, or limited - in which the action occurs. And, I think the film has benefited for it.